I debated whether I should do a review of Your Name for TTW because it is not strictly based on folk narrative- though I have seen reviewers suggest that it is in part inspired by an ancient Japanese poem, “Torikaebaya Monogatari,” which Wikipedia helpfully notes translates as “The Changelings,” a promising folkloric title if there ever was one. However, this connection seems tenuous at best, and, more importantly, I do not have the background in Japanese folk narrative to speak to this with any authority. Yet even without relying on this potential narrative connection, there is something distinctly folkloric about this film. Academics often talk about folklore as the ever-shifting dynamic between continuity and change- the conversation between tradition and adaptation (see the work of Barre Toelken for more on this.) Folklore is about repetition, communication, identity, and links between the future and the past. And Your Name is absolutely about all these things. Your Name explores a magical connection between Mitsuha, a girl from a fictional town in rural Japan, and Taki, a high school boy living and working in Tokyo. Mitsuha lives with her grandmother and younger sister next to a shrine that they maintain, and she feels ambivalent and often outright furious at the way she is anchored to the past and to rural life. At one point, she participates in an elaborate ritual at the shrine and is deeply embarrassed when her classmates make fun of her. It is her wish to be “a handsome Tokyo boy” in her next life that seems to somehow catalyze her connection to Taki, whose backstory is decidedly secondary. Much of the initial plot revolves around mysterious body-swaps between the pair and the confusion they experience when living each other’s lives. Mitsuha has to learn to navigate Tokyo and fast-paced work at a restaurant, while Taki struggles with traditional braiding and travels to a sacred location associated with Mitsuha’s family’s shrine. They initially find each other’s lives baffling, and they leave each other notes in their phones (and occasionally on each other’s bodies) to provide guidelines, advice, and scoldings. Communication between the two, despite never having met, is crucial to keeping their lives intact. I’m avoiding spoilers in this post, so I’ll just say that time and memory are in constant flux throughout the film. Your Name asks its audience to consider what happens when some stories are lost and if they can be revived. It asks what we can learn from other people’s lives and perspectives and presents beauty in the mundane and in the magical- and that is folklore at its best. 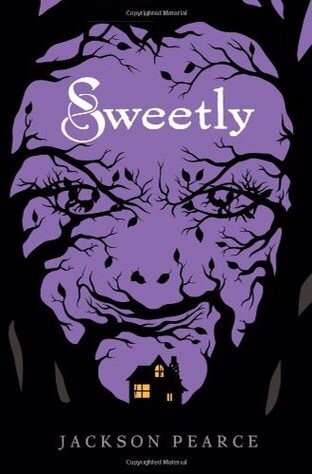 A review of Jackson Pearce’s Sweetly (Little, Brown and Company, 2011). Hansel and Gretel is a tale of hunger and displacement. Focussing on the two children losing their home due to hunger and eating of a witch’s house and inspiring her to try to eat them, the tale is one where a loss of home and hunger are intertwined. Jackson Pearce sets her Hansel and Gretel revision in small town America where populations dwindle as people search for homes in areas where they can get work and where the economy is starving. Her brother and sister team are re-named Ansel and Gretchen and they end up moving into a small town candy shop owned by a young woman named Sophia. Sophia has been blamed with the loss of young women who leave each year to seek work in larger cities and she is ostracised because she is seen to be responsible. In this blame game, Jackson Pearce points to the other side of the fairy tale, the side of gossip and the tales that spread through small towns as people seek to find people to blame for the social issues that occur in their town. The town is also living its own “once upon a time” by constantly trying to portray itself as the quaint but prosperous community it once was, glorifying its past to hide from the issues in its present. Where the town is glorifying the past, Ansel, Gretchen, and Sophia are all trying to hide from their pasts, changing themselves from the people they once were to avoid the threat of traumatic memories. They carry traumas of the past with them as they seek to re-make themselves and find new possible ways of interacting with the world, wanting to change themselves. Yet, this is not just a tale of economies in small town America. The woods are places full of horrors and places where no one wants to wander off or get lost. Pearce’s tale is filled with magic, but it is also filled with horror and fear. Ansel, Gretchen, and Sophia are all linked by a desire to make things better, but they are also linked by a shared fear, an uncertainty about the future and the threats that proliferate around them.